While January is almost over, starting and keeping a healthy life will help you to stay fit throughout the year. Just a little bit each day will keep you fit. Here are some recommendation for you. Stress causes many diseases like diabetes, nervous disorders, cardiovascular issues, and others. To make this year your healthy year overcome your stress with slow calming breathing exercises and try some meditation. Routine chiropractic care strengthens your immunity. A strong immune system means you are less likely to get sick. In addition, chiropractic adjustments help keep you flexible and free of musculoskeletal pains through painless spine and body adjustments. Your body is more than 50% water – a lot more. Everything in your body from your nervous system, spinal discs and bones need it and you are probably not drinking enough of it. Coffee and tea don’t count and the various sugar drinks and energy drinks don’t count and don’t help. Stay hydrated with water, you body and mind will thank you for it. Exercise and movement is another important step to keep away sickness and loss of mobility. Stretching, swimming, strength training, and many more can help keep you healthy and turn your year, this year, into your healthy year. Not enough time you say? Take a brisk walk. Your heart will appreciate it. Happiness, laughter and joy greatly reduces stress. Laugh as much as you can. Take part in the activities that bring joy to you. Listen to happy music. Try to avoid situations that are interfering with your happiness. Most of the time, people avoid seeing doctors. Fear and anxiety are key factors. If you feel something is wrong, you should talk with a medical professional, including your chiropractor. They can give you their advice based on their experience in the medical field. One month is already gone in this year. Don’t let your health go with it. Set a healthy goal and push yourself to achieve it. If you are experiencing any pain right now, treat it naturally with chiropractic care. 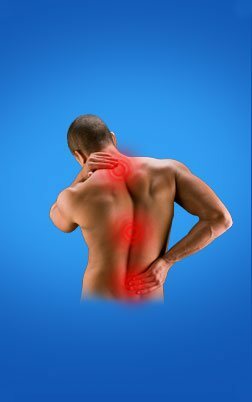 Visit www.centralstreetchiropractic.com to learn more about chiropractic can help you.